Simplicity is a temperament you often don’t expect of poems. Sometimes, when you think of poems, you think of taut, outlandish words that sound so esoteric and are so carefully constructed that you are left dazed and perhaps mesmerized. Don’t we all secretly crave a little bit of mystery in our quest for knowledge and art? 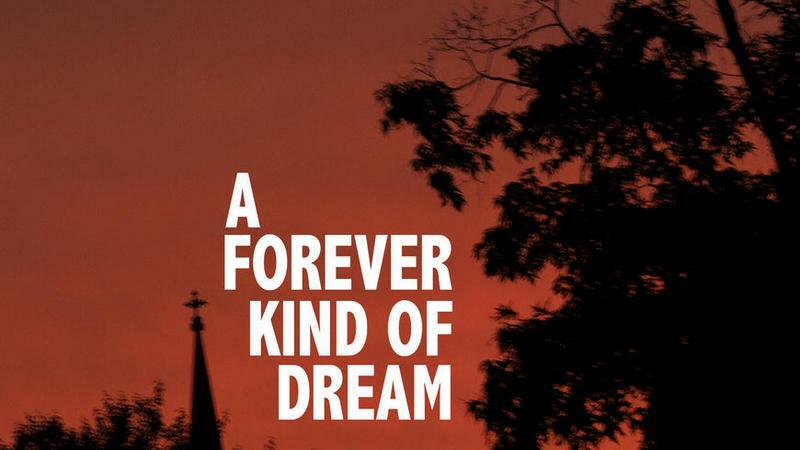 Be that as it may, I must warn that if you are looking for mystery or wonderment or complexity or whatever you may decide to call it, you should perhaps stay away from Ifeanyi Ogbo’s A Forever Kind of Dream because its simplicity is set to stun you. It appears Ogbo’s mission is not to impress with high-sounding words. No, he is not ready to bamboozle you. Not just yet. He may decide to pursue that with his second book. But right now, right here in this book, aligning himself with all those poetic devices and gamut of rules is not his calling. His duty with this anthology stands out clearly – to create. that golden ball of lemonade dreams. “Ever since I met you, my vocabulary has expanded. What you feel as you sail through Ogbo’s anthology is gratitude. Pure gratitude. For a creature with a beautiful mind as his. For the precious gift of a book in your hands. For life and all the treasures and graces that come with it. For every single thing you can think of. Ogbo’s collection is indeed a hamper of many things. It is a reminder that we can be so much at the same time. It is much about love as it is about life and faith and humanity. It touches on God, romance, friendship, geography, memories, childhood, forever and a lot of other beautiful themes. Even more enticing is the language. Ifeanyi Ogbo’s language is accessible and sublime. It achieves the purgation of emotions with its surprising simplicity. Some of the poems, barely five lines, force you to think about yourself and life, and I think that is what crowns it all for me. I think when poetry is relatable, when a wide range of readers can read and connect with it, when it uses simple everyday language to convey depth, it has succeeded in achieving something – beauty in its complete sense, which I think is a rare quality in today’s world where everybody is trying to ‘form’ deep. “Black unicorn” is about accepting yourself whole and complete. “you say you are weird. you think you are nothing. “God is an artist” urges you to think about the whole of creation and the role of an unseen creator. “Countless stars in my timeless sky” sings of friendship and romance and love. to where the sunset serenades the waters. As you read, “watermelon dawn” and “my favorite picture of you” you are forced to think of a later version of you and your other half, washed by age, sitting into the night under a mango tree in your compound, and watching the night unfold. You imagine yourself basking in the cool evening breeze and you imagine reading the words of the poems to your lover, until you both fall asleep. “Endless,” “Your Poem,” “A Lifetime with You,” and “Nkem” are also of the same family. If there is anything this book has successfully accomplished, it is collecting a series of well-strung sentences into a majestic whole that lovers can relax and read to themselves. You see expressions woven together into a complete whole that is love. And in the end, not only are you moved; you begin to move. People say “get lost” to mean disappear, evaporate, depart. In Ifeanyi Ogbo’s anthology, you will surely get lost. And happily so, too. I think I need to lay hands on Ifeanyi Ogbo’s peoms. Let me read this poems devoid of “outlandish” words, yet rich and not sounding like a nursery rhyme. Meanwhile, Munachim, yours was a wonderful review.